If you want to travel, and have a dog, you really have two options: travel with a dog or leave the dog home. It is also possible to teach a dog to love traveling and be at ease in changing environments (read about our experience of traveling with a dog, and how our first dog traveled in more countries than many humans do, and how our nine month old puppy has already traveled thousands of miles and weeks of hotel nights.). However, traveling is not for all dogs, and some are happier when left at home. If your dog loves to travel like you do, look into service animal registration, service animals are more widely and easily accepted as a general rule. 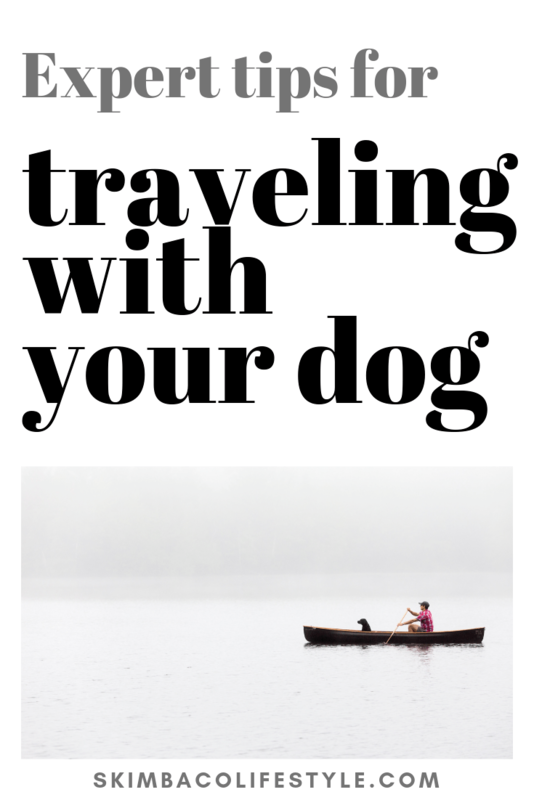 This post gives you tips for traveling with your dog, and what to consider way before you even start planning your first big trip with your dog! On this post I give several simple tips how we have trained our dogs to love to travel, tips how to make it easier and what to consider before booking a trip with your dog. I didn’t dive deep into different kind of traveling, so whether you are flying with your dog, going on road trips or staying in hotels or at vacation rentals, you might want to look up more specific information as well. I am not “a dog expert”, only a dog-loving dog-mama with lots of experience on traveling with a dog in several countries in Europe and around the USA. Both of our dogs have lived in several countries with us. It is always a good idea to consult with a veterinarian before traveling with your dog. There are also several great options for those who choose to leave their pet home from kennels to having a family member to take care of the dog or hiring a house/pet sitter to live in your home while traveling. Before you even travel with your dog. 1. Breed and size matters. Before you even get a dog, it is good to consider a few things. Are you aware of some breed restriction some airlines, hotels or even countries and regions can have? Some of these might not just apply to large breeds, but also to some smaller breeds (for example short-nosed dogs such as pugs). If you already have a dog, this is still important to check. Often the restrictions also apply to the size of the dog – or amount of the dogs, if you travel with multiple dogs. Traveling with one small dog can be very different than traveling with two Rottweilers. 2. Start training when your dog is a puppy. They say it’s difficult to teach old dogs new tricks, and in our experience teaching older dogs to love traveling can be challenging (might have breed too: we could never travel with a beagle we had). I recommend starting to travel when your dog is a puppy so it will become normal to him, and he will learn to love it (hopefully). 3. Do a practice trip. Or two. Even if your dog isn’t a puppy anymore, and you want to take him for the first trip, you can try to train him. 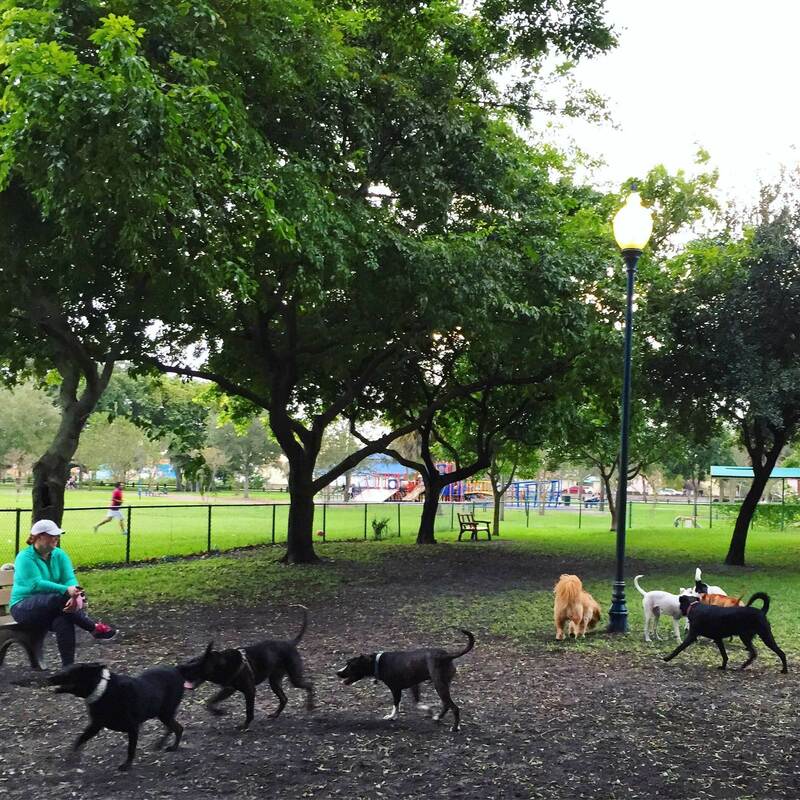 Start with practice trips like local day trips, trips to friend’s house for one night, shorter road trips or simply driving to a new dog park and eating out in a restaurant patio afterwards. All of this training is important for puppies anyways, but imperative if you want your dog to become a traveler. If you have an older dog, changes are you have already done a lot of “travel training” without even thinking about it. 4. Crate training is pretty important as well. It is important that your dog will love his crate, whether the crate it for home, for car rides or for flights. The crate should be his safe nest, where he feels comfortable and happy. We made a mistake with our first dog that we barely ever used the crate at home, but only when he flew, and while first about 6-8 flights when fine, he eventually started hating the crate and it became very difficult to even get him in when he was older. 5. Destination matters and start planning early. If you plan on traveling in your country, destination might not mean as much, but it might. It does depend on your dog’s breed, for example some provinces in Canada have breed restrictions. Some counties, and cities in other countries can have local restrictions as well. Some countries can have very difficult animal importing rules, and also age restrictions (no dogs under one year old). If you plan of traveling out of the country, don’t just check the animal import laws to that country – but also back to your own. For traveling to USA, check out the U.S. Department of Agriculture, Animal & Plant Inspection Service, Veterinary Services or 800-545-USDA (8732). If you have layovers, you plan on driving through countries/regions — don’t forget to check those either. You can find this information often from a consulate website. 6. Health check! Like said earlier, it is always a good idea to consult with a veterinarian before traveling with your dog. Some things to also consider: vaccinations must be up to date. There are certain vaccination requirements when you import a dog to certain countries, and sometimes they have requirements that have very specific time restrictions, for example rabies shot has been given more than five days, but less than 14 days. 7. Safety measures like name tag! Collar. Name tag with your phone number. Leash. All basics that you most likely have all squared away. But consider having your dog microchipped in case your dog gets lost. When the microchip is registered with your current contact information, including a cell phone number, you can be reached even on your travels if your dog gets lost. How to find places where to stay? 8. 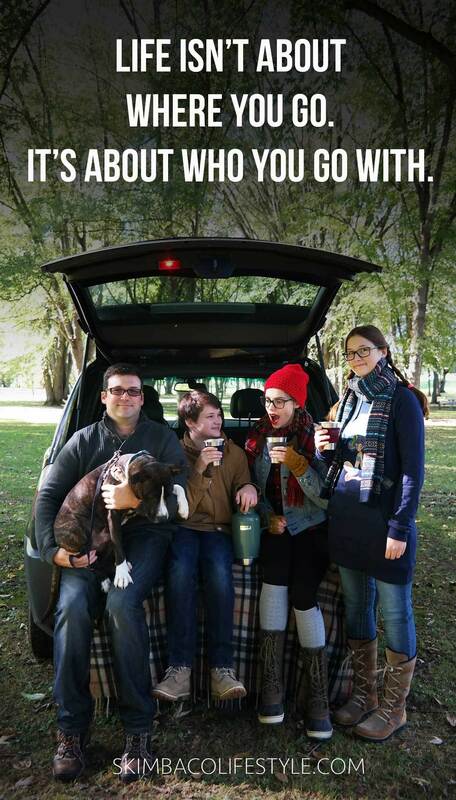 Check out Bring Fido or get the app. Bring Fido is absolutely the greatest thing that has happened to traveling with dogs pretty much ever. The website and the app are an endless resource of dog-friendly hotels, restaurants and activities in most popular travel destinations. We have only used this in the USA (in several states), and so far have been very happy as a resource. Also, one late evening we had hard time finding a hotel on our road trip, and my husband called Bring Fido and they were able to book us a hotel. We had already called several different hotel chains with no luck. The only bad thing about booking with Bring Fido (or most third party booking services) that we were not able to collect hotel points for the chain we stayed with. 9. Check out dog-friendly hotel chains. It might be easier to stick to certain hotel chains that you know will always allow dogs. The list of dog-friendly hotels nowadays is longer than you’d expect! For example in the USA there are several chains that allow dogs in most, or all of their locations. Notice that while there are several chains that offer free stays for pets, some have one time fee AND/or a daily fee per each pet. Also size restrictions apply in many, and the amount of pets you can bring. We like the Hyatt Place hotels for reasonably priced stays with a dog, and often without a pet fee. 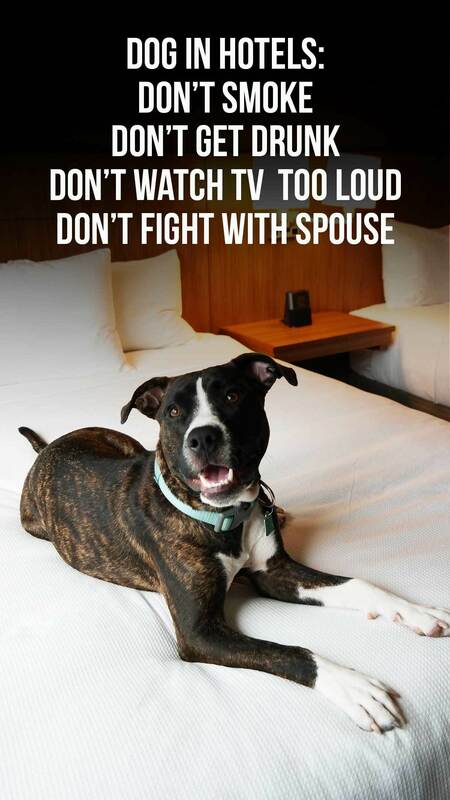 Many other Hyatt hotels also offer dog-friendly stays. Several Marriott hotels with their brands like Courtyard by Marriott, Residence Inn and Fairfield Inn typically allow dogs, also their Renaissance Hotels. Several Hilton brand hotels also allow dogs, like DoubleTree by Hilton and Home2 by Hilton. La Quinta Inns & Suites is a good budget hotel brand during road trips in the USA, for those times when you only need one night’s stay and want to continue driving the next day. 10. 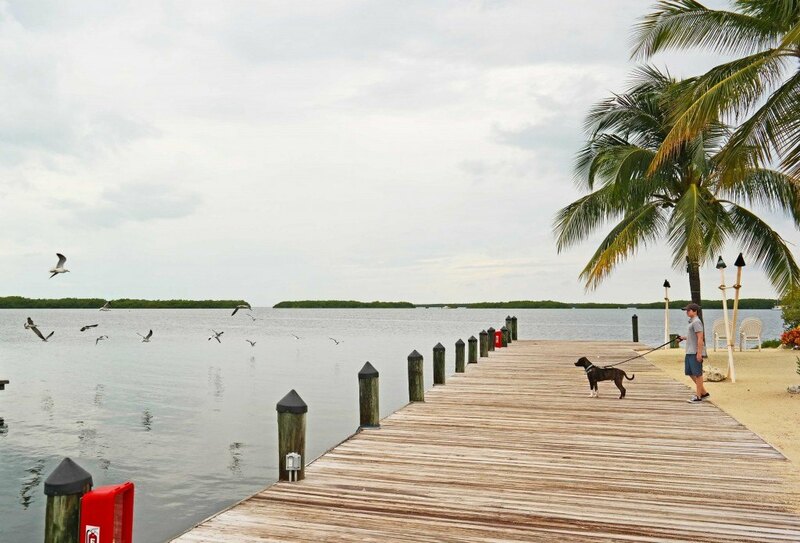 Luxury hotels actually like dogs too. You don’t have to be a budget travelers to travel with a dog. There are also several comfortable luxury or luxury hotels that allow dogs. In fact, they don’t just allow dogs, but treat them like royalty, like the Fairmont Hotels and Resorts, where dogs have their own afternoon tea. Several of the following hotel chains allow dogs, but check individual locations and their pet fees and restrictions: Kimpton Hotels, Loews Hotels and Resorts, Ascend Collection, Renaissance Hotels, Intercontinental Hotels and Resorts, Crowne Plaza, Four Seasons Hotels and Resorts. 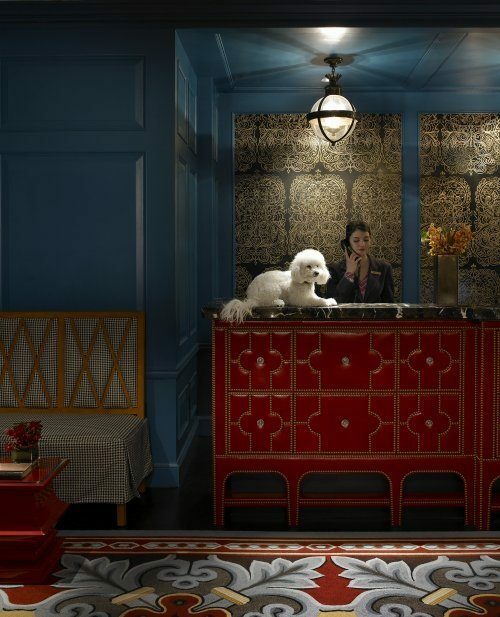 Kimpton Hotels goes as far that they have Directors of Pet Relations in several of their locations, working dogs who “eagerly greet guests in our lobbies, quality test our pet amenities, and lord over the nightly wine hours.” Oh, what a dog’s life! 11. Other hotel stay limitations. Note that some hotels don’t allow you leaving the dog in the room without supervision, but some (luxury) hotels offer pet sitting services, or their concierge can help you to find one locally, or to find you a day kennel for your dog if needed. If you plan on doing activities without your dog during your travels, take this in consideration already when booking your travel and where to stay. 12. Dog bed and/or crate. Crate is needed for flying, and it is also safest for your dog to travel inside a crate in a car. It is not always possible to bring a crate with you, but I highly recommend bringing your dog’s own bed. 13. Food & water. Pretty common sense, but it is also good to have a travel food and water bowls so you can easily feed your dog on the go. Extra water is also important, we typically carry a reusable water bottle that is easy to refill. Training snacks are also very important. You will run into many situations when you want to praise and reward your dog for good behavior and encourage him to continue it. 14. Medicine and pet care products. If your dog in on medication, remember to bring it! For natural pet care products I recommend Young Living’s products, they are great for your dog’s wellness at home and when traveling. They are especially good to take along traveling because of their small size. 15. Poop bags. Another self-evident for many, but if you live in a rural area where you don’t have to worry about pet waste, remember that picking up after your dog is a law in cities and many neighborhoods. Accidents can also happen when your dog is nervous about new situations. Pack plenty of poop bags. 16. Cleaning supplies. Related to the accidents… I always bring some basic cleaning supplies with me to deal with motion sickness in a car or other accidents. I usually bring a travel sized Thieves Spray and an empty spray bottle and Purification Essential Oil and other essential oils. The travel sized cleaning detergent is good for cleaning, but I like to spray non-toxic scent to eliminate the stink as well! 17. Non-toxic air refresher. The air refreshers like Febreeze are full of chemicals that can be harmful for you and especially for your dog, and many hotels use similar products in their rooms. You can easily ask the room service not to spray them in your room while you are staying there. I always carry my own air refresher with me in a form of essential oils and an empty spray bottle. 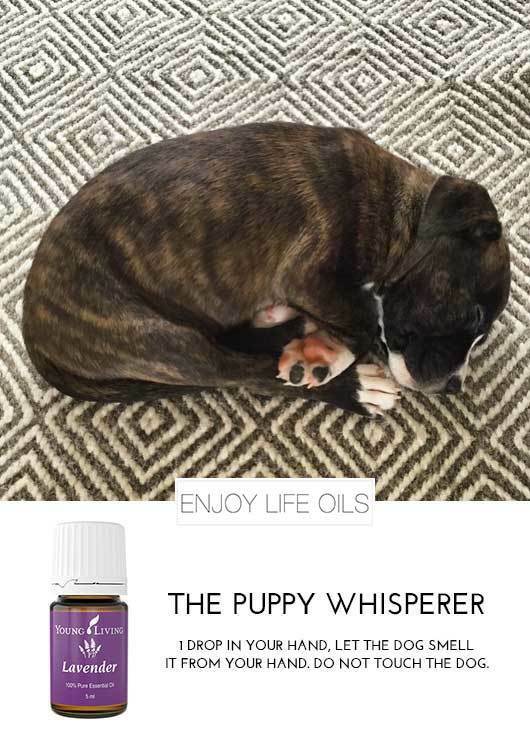 5-8 drops of essential oil like Purification in the entire spray bottle of water, and it’s good for spraying the car, or dog bed, or even hotel room to eliminate the bad smells. 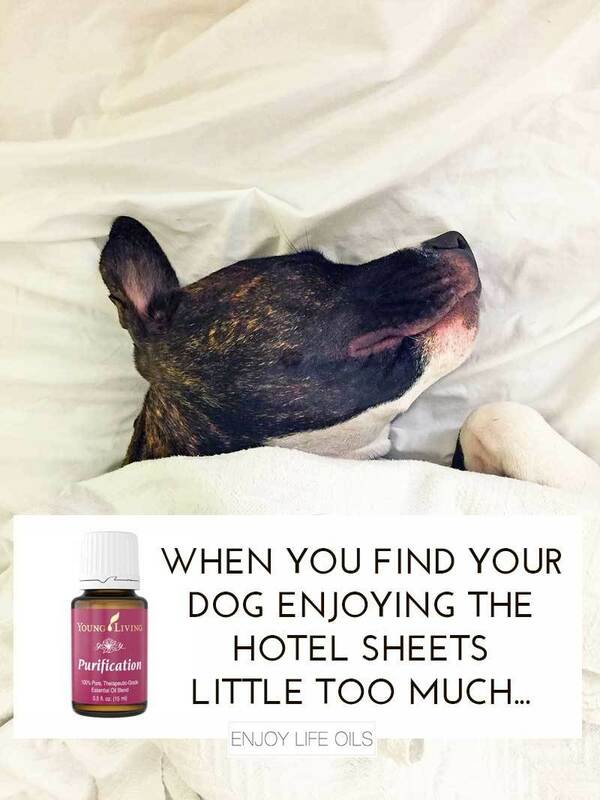 If you stay in a small hotel room with a dog and a family the spray bottle + essential oils is a MUST! 18. Toys! Bring toys for entertainment, they might be needed in social situations like when you are trying to eat dinner, or if you leave him alone in the hotel room. 19. Lavender to calm nerves. Dog training expert Cesar Millan does not recommend medicating the dog for travels to calm nerves, but “for a little extra calm, try rubbing a little Lavender essential oil between your hands and give your pet a little aromatherapy or deep tissue massage at the beginning of your dog’s spine or base of her head.” We have been using the Young Living’s Lavender essential oil for our dog with good results! 20. Give your dog enough exercise. Whether you are traveling by plane or car, make sure your dog gets enough exercise before the trip and during the trip (if possible). When your dog has gotten enough exercise before a flight, he will be more likely to be calm and rest the trip. Also, remember to schedule enough stops on your road trips to exercise your dog. 21. Go easy on food. Our dogs have never eaten much during travel days, and that’s actually good because it helps to avoid motion sickness. We also have made a mistake buying different kind of new snacks or food during our travels and it is better to stick to foods your dog is already used to, and notice: you can even order them to wait for you in the destination. Don’t even think of asking my husband what happens when you feed some restaurant food scarps to a puppy on a road trip… (go back to tips #15 and #16). 22. Think ice… This might be an odd tip, but ice can be very useful in many travel situations with a dog. I always freeze a big chunk of ice before flights, so our dog will have water supply that lasts most of the flight, even if water in bowl might tip over at some point. When we dine in outdoor patios, we also fill our dog’s bowl with ice. He likes crunching the ice and it is more interesting than water and keeps him occupied. Sometimes I also freeze dog biscuits and carrots inside an ice chunk for long term licking and chewing fun. Put these “DIY ice chunks” inside a ziplock bag and inside your cooler bag to stay cool and also as useful ice to keep everything else cold. These are great on road trips. Well, not in the car — but on the breaks! These are just a few tips I have learned while traveling around Europe and the USA with our dogs. What else? 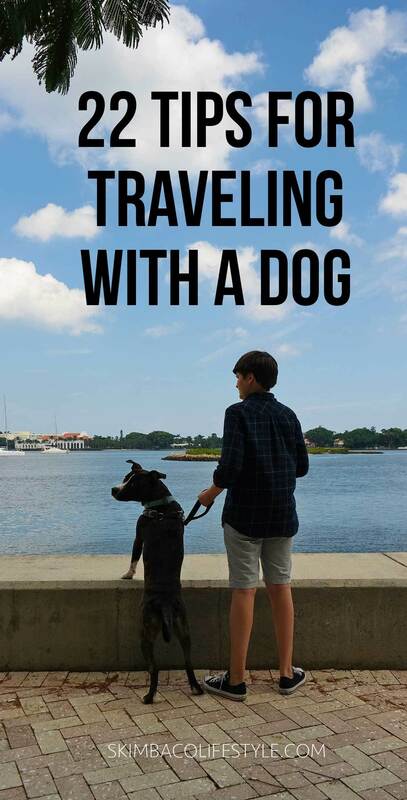 Add your own traveling tip with a dog in the comments!